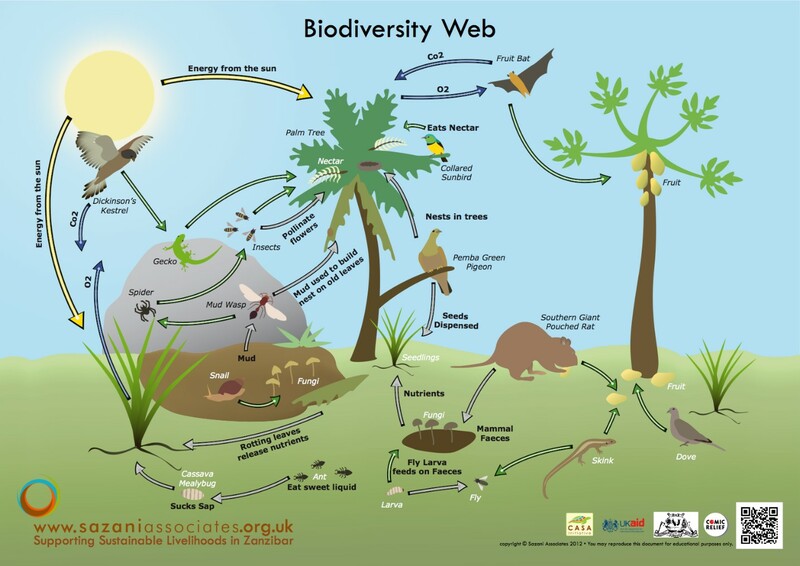 Biodiversity reflects the number and variety of living organisms on the planet. It forms the basis for healthy functioning of ecosystems around us, which contribute to economic, social, cultural, spiritual well-being of people all around the globe. Thus, the importance of biodiversity cannot be stressed enough. Human activities have been the major cause for losses of biodiversity and degradation of ecosystems. To attempt to remedy the situation, in 2010, 193 countries that are part of the global Convention on Biological Diversity set an objective to reverse biodiversity loss by 2020. To achieve this, major monetary investments are needed. In this study, scientists pulled together estimates for benefits and costs related to the reversal of biodiversity loss. Biodiversity forms the basis for natural capital (natural assets including geology, soil, air, water and all living things). On average natural capital contributes 36% of the total wealth of low-income countries and supports more than half of the “GDP of the poor” across all sectors by supplying products and employment. In 2011 a group of researchers calculated the annual global value of natural capital to be $125 trillion USD. To better explain this big number, here are some concrete examples of what contributes to our natural capital and the costs of biodiversity loss. The world’s fisheries provide about 16% of the protein consumed in the world and employ 200-260 million people. However, due to unsustainable practices, global fisheries income is being reduced by $50-67 billion USD each year. Natural pollinators are estimated to be worth more than $200 billion USD per year to the global food economy, which is 9.5% of total value of agricultural food production in the world. Global sales of organic food and drink have been increasing by over US$ 5 billion a year and reached US$ 46 billion in 2007. Eco-tourism represents the fastest-growing area of the tourism industry, which is reported to be worth $100 billion USD a year. This shows the emergence of new markets related to natural capital and biodiversity. Forests, peatlands and coastal and marine areas sequester and store greenhouse gases emitted from human activities and are crucial in mitigating climate change. The economic value of high seas only in carbon sequestration has been calculated at between $74 and $222 billion USD per year. Costs of doing nothing to reverse biodiversity loss have been assessed by several groups of researchers. One of them reported potential economic losses from status quo to reach $14 trillion USD per year by 2050. Damages from climate change alone have been estimated at more than $3.7 trillion USD globally and the latest risk report from The World Economic Forum published in 2016 puts failure of climate change mitigation and adaption as the most impactful risk of years to come. Developing and maintaining a network of nature reserves was estimated to cost $45 billion USD a year. This hypothetical network could protect production of services and goods that are worth between $4400 and $5200 billion USD annually. In comparison researchers in their report to the European Commission calculated benefits from existing Natura 2000 network of protected sites in the EU covering over 18% of EU land to be from $246-370 billion USD annually. Cost of shifting to green agriculture has been estimated at $198 billion USD per year and would result in an increase of about 9% and additional 47 million jobs in comparison with the current situation. Researchers communicate that the global per capita aggregated estimates of needed investments are between $20 and $60 USD, which is 0.002% to 0.007% of global GDP. They also point out that there is a substantial gap between needed ($300-400 billion USD) and current ($51-53 billion USD) levels of investment. The authors of this study concluded that investments in biodiversity are economically beneficial and benefits would outweigh the costs. This means that not only there are environmental but also economic arguements for developing and implementing effective measures that will help preserving biodiversity. What can we learn from the things in lakes?